You’re lucky to own any credit card, but a shiny gold credit card seems to be more luxurious. Get credit cards from African Bank, with the gold cards you get increased credit limits, better rates and better purchase protection. Tailor-made to meet your lifestyle, African Bank’s Gold credit card certainly makes an impression on people. The mission of African Bank is to be a successful Retail Bank and to offer South Africans a wide range of products and services. With a Gold Credit Card from African Bank, there is a monthly service fee of R68.40. 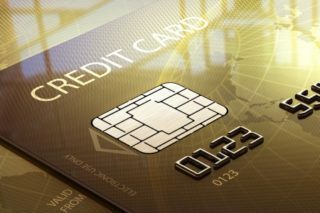 If you’ve acted responsibly with your card, you could qualify for an increase in your credit limit after four months? Applying for credit with African bank is easy. Should you qualify for credit, you can complete the African Bank credit card application form online. A consultant from African Bank will phone you to finalise your application. African Bank offers other credit cards too, not just the gold card, and the credit you get depends on your salary as well as your credit profile. The Bank offers a free online and mobile service. When you register online, you can enjoy the convenience of accessing your account information and services. You’ll be able to view credit card balances, report a lost card and even apply for more credit. You can call African Bank at 0860 333 004. Isn’t it time you got your piece of gold from African Bank?